For those who enjoy the great outdoors, a lot of their time is spent hauling boats, trailers, jet skis, motorcycles and more. Yet, they also require enough room to hold the entire family in the vehicle. A high performance SUV with enough towing capacity to handle the job is a must. The market is filled with choices, but here are 15 that really top the charts in towing capacity, passenger seating and comfort. This SUV with option tow package boasts up to 8,600 lbs. of towing capacity. It’s built hold up to nine people. Plus, the 5.3-litter V8 engine can generate up to 355 horsepower 383 lb-ft of torque. 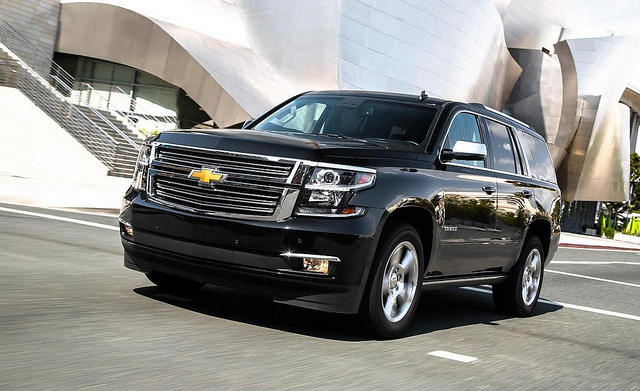 This kind power is available for all styles of 2015 Tahoe. However, if you upgrade to the LT or LTZ edition the manufacturer throws in locking rear differential. That is great for added traction on the highway and off. The shock over coil suspension system offers a better ride and handling compared to past models. This is made possible in part by front springs that are 25 percent stiffer. Even when pulling a heavy load over bumpy ground, passengers shouldn’t feel the road at all.